/ Does the Wonder Core Smart Really Work? Does the Wonder Core Smart Really Work? People are skeptical about exercise equipment and ab machines as seen on tv, and want to know if they really work. This is a perfectly reasonable question. Why waste your money on products that don't work? The wonder core smart is a machine that a lot of people doubt as they think of it in the same way. So, in this article we will seek to answer question that we hear a lot: Does the Wonder Core Smart really work? What is the Wonder Core Smart and what does it do? The Wonder Core Smart is an exercise tool that focuses on the whole core. 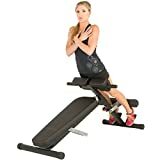 It uses adjustable resistance to give your muscles a progressive work out across six different exercises. The resistance works in both the up and down movement, to double the work you do. You can also do cardio on this machine. With that out of the way, let’s look at how and if it actually works. In order for your muscles to grow, you need to progressively overload them each time you work out. This basically means you need to lift a little more or go a little further each time you work a muscle group. In our Wonder Core Smart review we talk about how it uses the twin concepts of resistance and correct form to help you achieve this. You can see an explanation below, too. By using the dials to increase the resistance, you can give you muscles more and more of a challenge each time. This will help them to grow. The machine is also specially designed to promote correct form, meaning you will always be targeting and working the muscles you want to. No wasted energy. 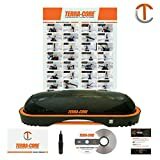 Is it the best ab trainer available? With exercise equipment it is really difficult to say anything is the best, because so many factors need to be considered. Age, fitness level, goals, space etc all need to be factored in. 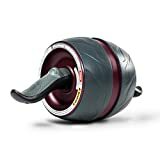 Ab roller wheels, for example, give an amazing workout but are tough for beginners. Decline ab benches are versatile and effective, but take up lots of space. Stimulator belts can be used anywhere to tone your abs, but won’t help you trim belly fat because they offer no cardio. To call something the best, you need to look at your own circumstances. Find out more about your ab machine options by checking our review of the best ab machines for home use here. For beginners, the Core Smart’s adjustable resistance will give you a great workout and help you make progress. However, the resistance settings do have an upper limit. This means that once you reach that limit, its tough to progress more, so maybe isn’t suited for people who already have great core strength. Also, while it offers a great range of exercises, they are not all focused on the core. So if you are looking for a pure core and ab machine, you might want to look elsewhere. It does have a lot of benefits over other ab machines though. 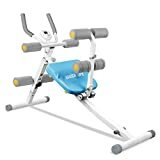 If you are new and looking to test the waters before commiting to a full home gym, it’s fairly affordable and easy to use. It is compact so if space is at a premium it will suit you. 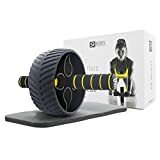 The frame of the Core Smart gives great support and helps you to keep your form as you exercise, which is another great benefit for beginners. The adjustable resistance will also help you progress quickly, which is great for those looking to get ready for summer and the beach. So is it the best? Overall, no, probably not. But it is a great, affordable choice for beginners or those looking to take their first steps into a better, fitter way of living. And Finally, Does it ACTUALLY Work? Is it the best ab machine on the market? No, probably not. But does it actually work to tone your core and abs? Yes. However, and it is a big however, the Core Smart only works if you use it correctly. This is true of any piece of exercise equipment, though a lot of people forget it. It won’t help you lose belly fat. Nothing can do spot reduction. It will only tone your muscles. You need to do lots of cardio for that. You can do some on the Core Smart, but probably not enough to lose pounds of fat. So you will need to use it in conjunction with a varied exercise regime. If you are new to exercise, don’t have much space to work out or suffer from back / knee pain, then the Wonder Core will be great for you. It doesn’t deserve to be discredited just because it is sold on TV or some people call it “The Walmart Wonder Core”. 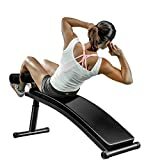 It is a perfectly viable ab and core trainer, when used correctly and consistently. You can find a full review of the Wonder Core Smart here.